Khalid Kurtom, MD, FAANS, FACS, specializes in the performance of minimally invasive surgical techniques for the treatment of primary and metastatic brain, spinal cord and pituitary tumors; cervical, thoracic, and lumbar spine conditions; peripheral nerve disease, hydrocephalus and head injuries. Dr. Kurtom is a Clinical Assistant Professor in The Neurosurgery Department at The University of Maryland School of Medicine. He is a member of the medical staff of University of Maryland Shore Regional Health, with privileges to practice at University of Maryland Shore Medical Centers at Dorchester and Easton. 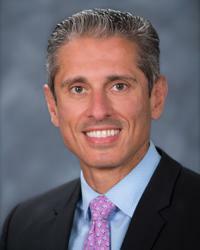 He performs scheduled surgical procedures at Shore Medical Center at Easton, as well as consulting with his colleagues on the Shore Regional Health medical staff for emergency and inpatient neurosurgical cases. Dr. Kurtom graduated from George Washington University School of Medicine in Washington, DC. He attended the University of Maryland for his undergraduate education. His post graduate training included a Master's degree at Georgetown University, General Surgery Internship and a Neurosurgery Residency at George Washington University Hospital, and a Neurosurgery Clinical Fellowship at the National Institute of Neurological Disorders & Stroke in Washington, DC. Among his professional affiliations are memberships in the American Academy of Neurological Surgeons, Congress of Neurological Surgeons, CNS Tumor Section, Spine and Peripheral Nerves Section, CNS Neurotrauma and Critical Care Section, North American Spine Society, American College of Surgeons, AOSpine North America, American Medical Association, Maryland State Medical Society, Baltimore City Medical Society, Medical Society of the District of Columbia, as well Alpha Omega Alpha Honor Society.